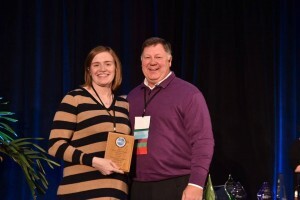 After attending the 2017 arvc OHCE conference this past November and receiving awards for both “Campground Partner of the Year Award” and “Large/Mega Green Park of the Year Award” through arvc the National Campground Association, Jim Button had the opportunity to interview with the local paper: Waushara Argus. Below you find the front page article. 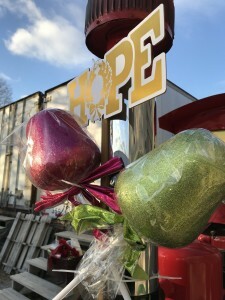 For more information on arvc the National Campground Association click here. 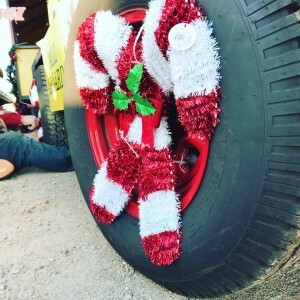 This year we had the opportunity to attend and participate in the 2017 Downtown Christmas Parade! 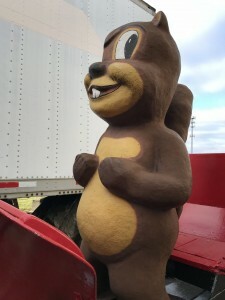 The Chippy Express got all decorated for the big event with lots of Christmas lights, big candies, holiday tinsel, and of course the famous Chippy the Chipmunk. 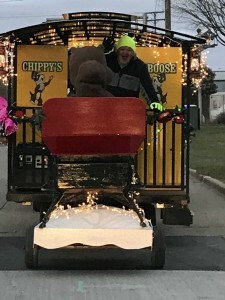 The Chippy Express was featured in the Post Crescent and aired live on Channel Five news. This past summer (2017) we had the opportunity to have Mad Dog & Merrill film a show at the park! 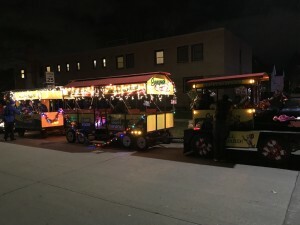 Did anyone happen to see that they were also on our float for the 2017 Downtown Appleton Christmas Parade! If you have not watched them check out the link below! Some great video of the park!! Thank you, Mad Dog & Merrill for being apart of the 2017 season! What a fun filled week! ARVC is our National Campground and RV Park Association. Each year they hold a Conference and Expo for all of the industry professionals to attend, network, take education courses and attend a jam-packed expo hall full of great vendors. This year Jim and Hannah had the opportunity to be speakers for four classes- Teen Activities, Food Service, Maintenance, and Project Management. Along with the great education courses offered we got to reconnect with friends from the industry. Each year ARVC has an awards banquet to close out the conference. 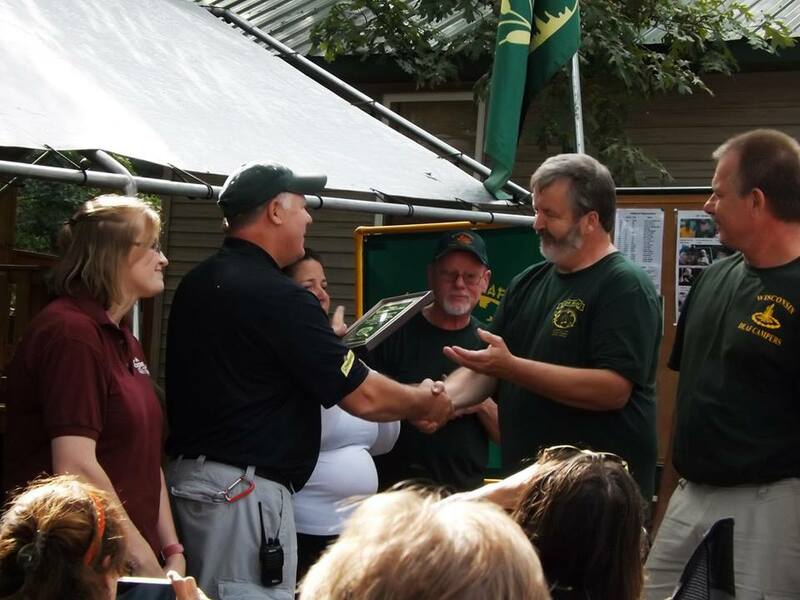 This year Evergreen Campsites & Resort won LARGE/MEGA Green Park of the Year and Campground Partner Award. This upcoming November 8-11 Jim, Dawn, & Hannah will be attending the arvc OHCE convention in Forth Worth, Texas. OHCE is your chance to join thought leaders, industry experts and hundreds of fellow park owners and operators in sharing your experiences as well as gaining more expertise through the educational seminars, networking events and Expo. When you give your time at OHCE you return to your campground with a year’s worth of ideas, insights and community contacts, as well as help build a stronger community and industry. The Outdoor Hospitality Conference & Expo (OHCE) is the premier event of the RV park and campground industry. 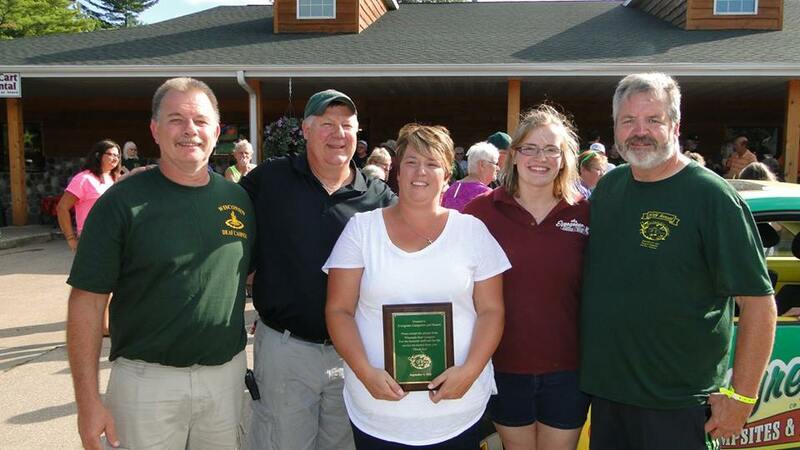 This past week Evergreen Campsites & Resort attended the Waushara Chamber Annual Banquet at Blader’s Dakota Inn. During the banquet, new chamber nominations were voted on by all those who were in attendance and absentee ballots were accounted for. Hannah was one of three new 2017 board members voted on to the board. Check out the Waushara Chamber website for all information/events happening in the County! 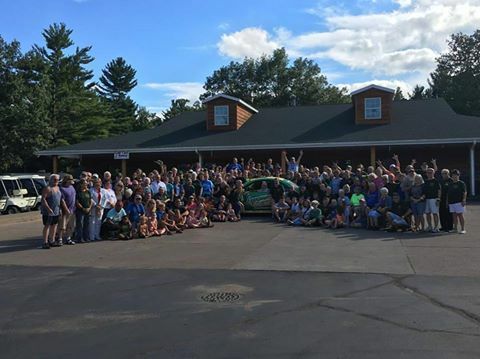 This past Labor Day Weekend Evergreen Campsites & Resort had the opportunity to host the 50th annual Wisconsin Deaf Camping Weekend. 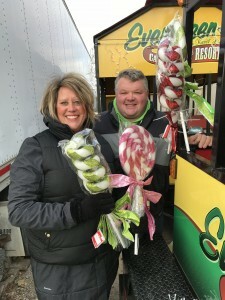 With 50+ reservations ranging from cabin rentals, cottages, and campsites and many golf carts, it was a pleasant time had by all. The Wisconsin Deaf Campers have been coming to Evergreen Campsites & Resort since 2013. This Labor Day (2016) was the largest group to date. 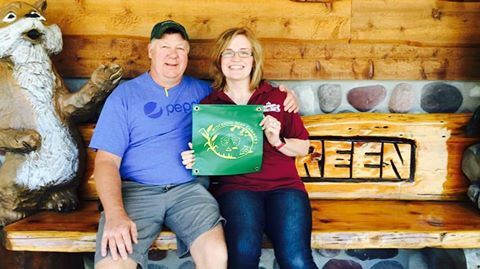 At the annual meeting, the board presented Jim Button (owner) and Hannah Piper (manager) with a plaque of appreciation from the entire group. The group had their Sunday dinner catered in by Evergreen Campsites & Resort. The group will be back again for the 2017 season. This Fall (2016) the Waushara Argus interviewed local businesses for a supplement in the paper. Below is Jim’s story.